We've given our opinion on the best motorcycles ever, now it is time for trucks. This list is just an opinion, so let us know what you think. 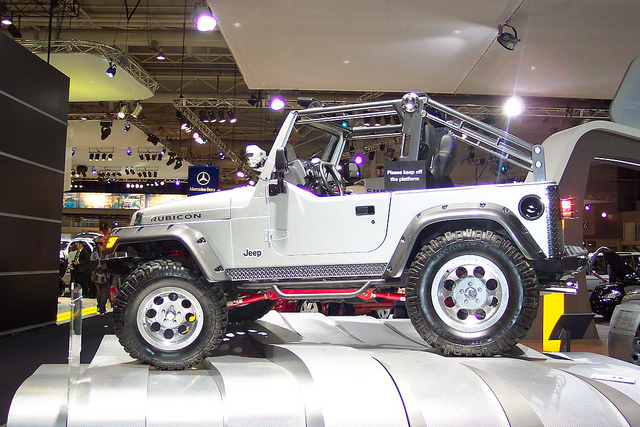 The TJ was smaller and nimbler than today's Wrangler, but represents the highpoint in Jeep off-road capabilities with its coil-link suspension. It boasted a 4.0-liter inline 6-cylinder engine that lifted up hard, narrow trails with ease. The long-wheelbase Unlimited models released from 2004 to 2006 were the precursors of today's four-door Unlimited models. The Rubicon package included Dana 44 axles in front and rear with electronic locking differentials, 31-inch Goodyear mud tires, and an ultra-low gearing in its transfer case. 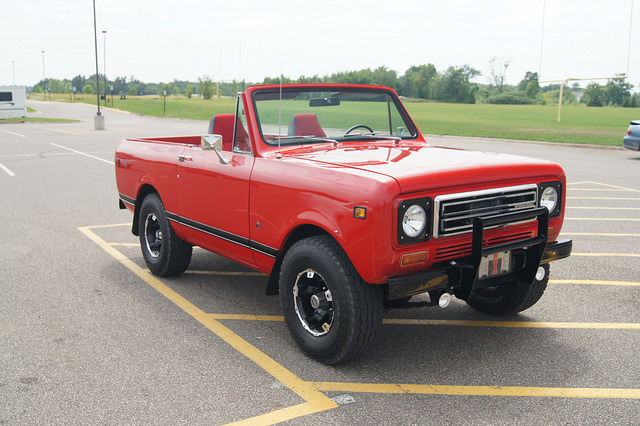 International's Harvester Scout was one of the most popular 4WD vehicles in the '60s and '70s, but the second generation's larger and more modern models attract enthusiasts today. The Scout II was heavy and versatile, designed to tackle any task assigned to it. The Dana 44 axle came standard after 1974, along with disc brakes, making the later years more popular. Options included either a 304 cid V-8 or a hefty 345 cid V-8. After 1976, roomier options were available in the Traveler SUV or Terra pickup versions with 18-inch wheelbase. 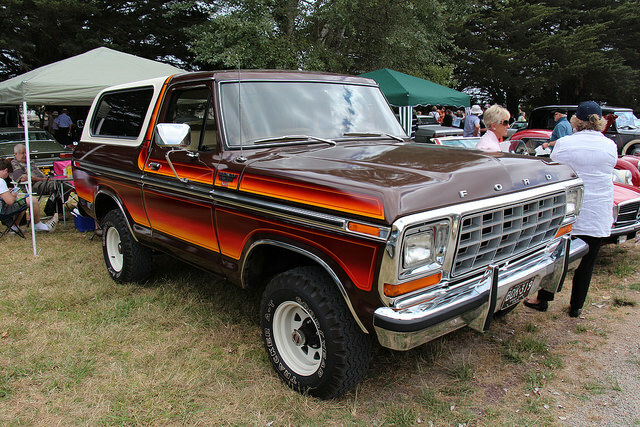 In the 1970s, the Chevy Blazer and Dodge Ramcharger SUVs were based on full-sized pickups, but the Ford Bronco retained its small stature until 1978. 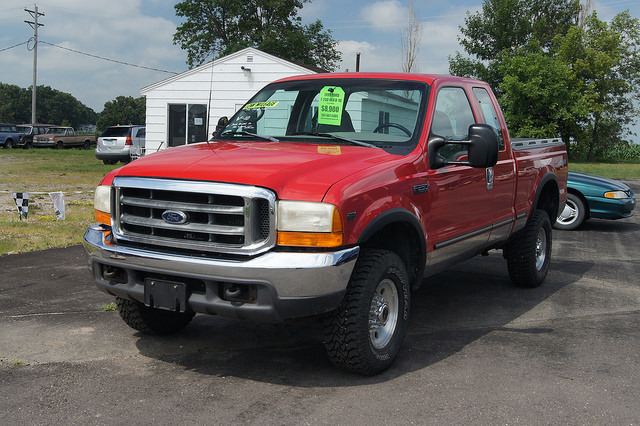 That year, it switched to the F-150 chassis and offered the option of a brawny 460 cid V-8 engine. In 1981, Ford decided to alter the design again, removing the Dana 44 solid front axle, making it less capable off-road. As a result, these first three years of the big Bronco represent the cream of the crop. The Super Duty's introduction in 1999 changed the heavy-duty truck market forever. Before then, folks had to modify their light-duty trucks for heavy work. No more. The Super Duty represented a full line of heavy lifters for the work crowd and recreational towers that left the regular F-150 for milder work. Its engines were Super Duty indeed, coming in three choices: a 6.8-liter gasoline V-10, a 5.4-liter V-8, or a 7.3-liter turbodiesel with an impressive 500 lb-ft of torque. Its side mirrors were manually telescoping, allowing for extra visibility when towing. The Super Duty allowed Ford to capture the heavy-duty market, which it still dominates today. Treat your truck to a longer life with synthetic oil from AMSOIL. Call your local AMSOIL Dealer in Lehigh County, Synthetic Oil Direct, at (215) 834-8720 or shop for yourself at our online store. Like the Willy CJ-2A, the Power Wagon was a thinly disguised military vehicle redesigned for civilian use. It represented America's first civilian 4WD truck. It sported a puny 94-hp, 230 cid inline 6-cylinder, instead of the traditional V-8. 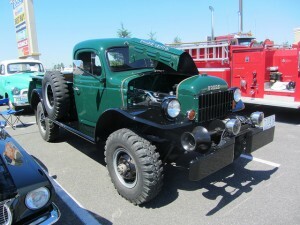 Rather than relying on huge engines, the Power Wagon got her done with transmission and ultra-low axle gearing instead. Its massive tires gave the Power Wagon a 10-inch clear, allowing it to haul up to 3000 pounds in the bed. Fully restored Power Wagons are still available today, and come in V-8 and diesel engine options. While Datsun was the first Japanese toe-hold in the American truck market back in the 1950s, Toyota has dominated in the decades since. 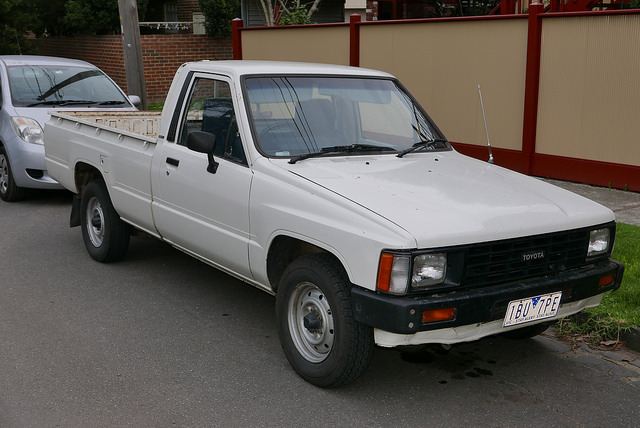 Toyota offered the first 4WD compact truck with the 1979 Hilux, and a nearly bulletproof drivetrain. Exceedingly reliable, and offering serious ground-clearance for off-roading, the Hilux became the quintessential compact pick-up. Representing the most rugged and durable of 4WD vehicles, the only thing that would destroy a 4Runner was rust. They were over-engineered for durability. A solid axle and leaf spring suspension allowed for respectable off-roading and the fuel-injected 22RE four-cylinder engine is nearly indestructible. 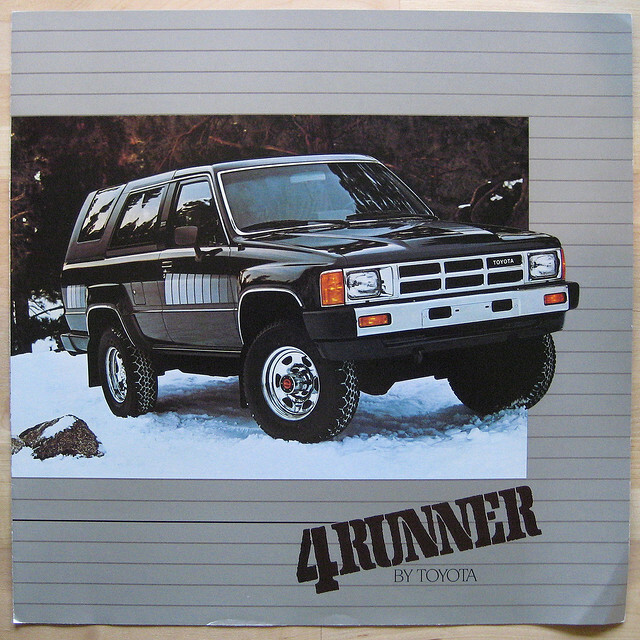 Unlike today's 4Runner models, which are integrated SUVs, the original 4Runner was much more similar to a pick-up with a cap. Representing the fourth generation of the 620 in the US market, the long experience of Datsun finally paid off. The truck looked beautiful, with winglets along the bedsides, but it also introduced a number of innovations. It was the first compact truck with a long bed and offered the King Cab in 1977. 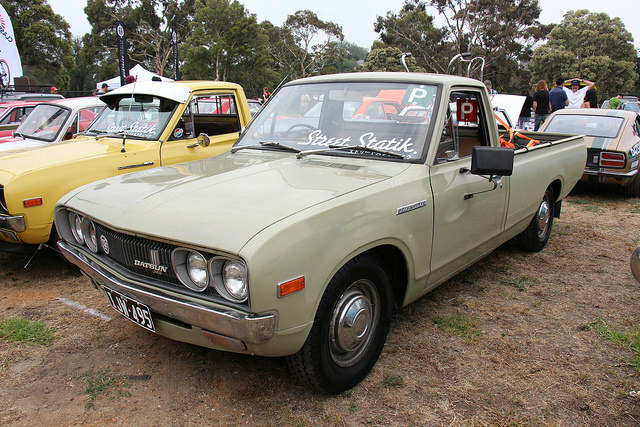 These King Cabs became the staple of the surfer in 1970s Southern California and blossomed the sport compact scene. Call your local AMSOIL Dealer in Lehigh County, Synthetic Oil Direct, at (215) 834-8720 or shop for yourself at our online store. We offer the full litany of automotive needs from synthetic motor oils and transmission fluids to filters and fuel additives.